We spent 48 days in Kyrgyzstan in total but 27 of those were just in Bishkek waiting on visas. We had cycled straight into Bishkek the same day we crossed the border, so our first impression of the country was only based on the city. 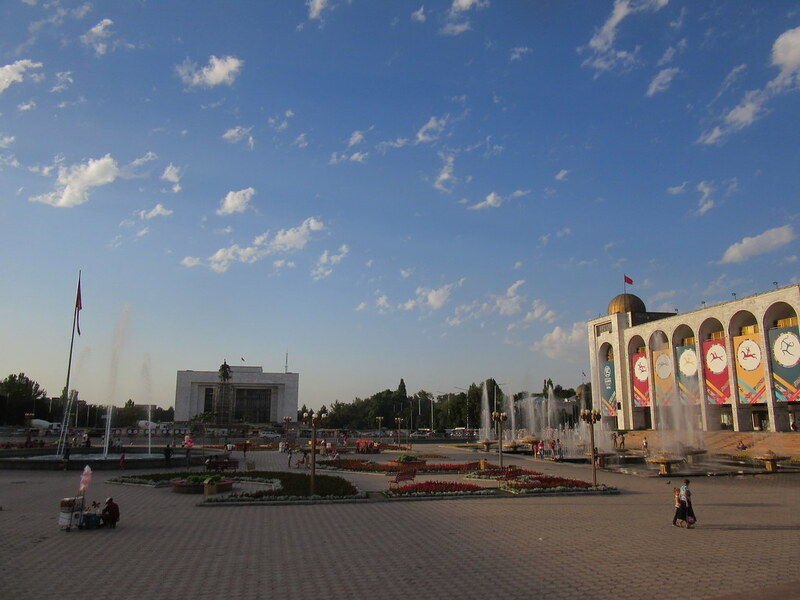 We had heard mixed things about Bishkek but overall we really enjoyed our time there, we just were there too long. If we had realised that our visas would take so long then we would have gone off and done a small trip. Oh well we can’t change that now. 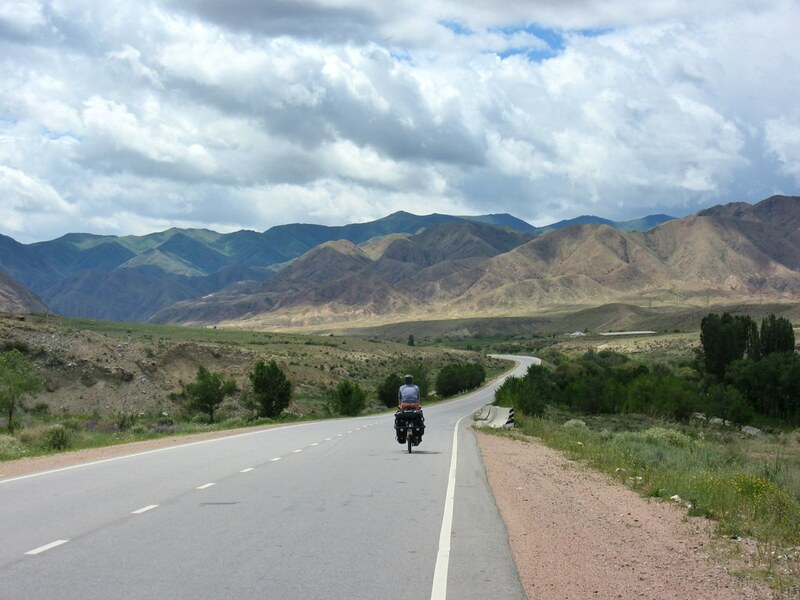 August 5th – 11th Osh (Kyrgyzstan) to Murghab (Tajikistan). 420km. 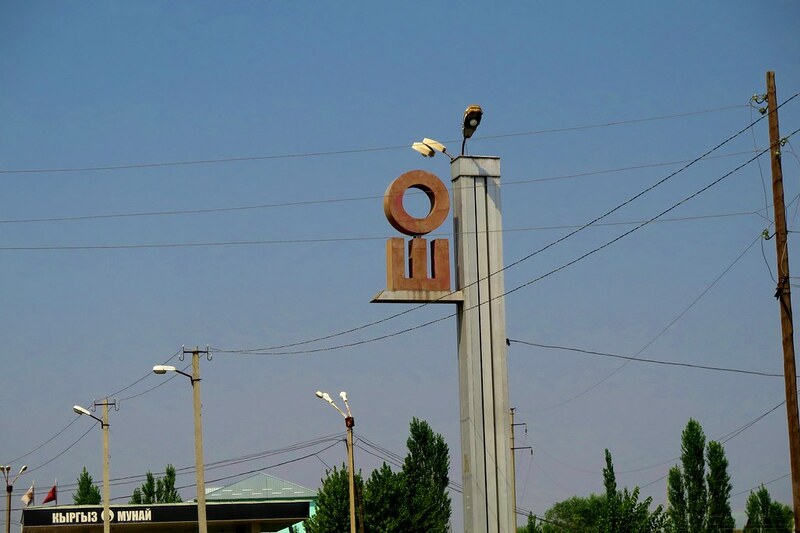 Osh sits at about 900 metres above sea level, the lowest we’d be for a while, which means only one thing. We’ve been riding uphill. A lot. Well rested and fed, with panniers full of supplies for the coming days, we set off to the South-East on the M41. Our first day was all uphill, gradually at first through the agricultural area surrounding Osh. It was a hot day so we stopped regularly for drinks at roadside magazins, making the most of them while they were still available. At one stop we met a young couple from Scotland who’d just returned from an attempt to climb Peak Lenin, (7,134m) but unfortunately the weather forced them to turn back just short of the summit. Later we met yet another South Korean cyclist heading our way, Kim. He was heavily loaded and riding quite slowly, so we rode on ahead after a chat, but our paths would cross regularly for the next few days. We were lucky with the timing of our rest day in Kazarman. On our first night there we had thunderstorms and heavy rain, but with a roof over our heads, we slept soundly. We didn’t do much on our day off (not that there’s anything to do in Kazarman) but we raided the few shops in town for food supplies as we’d heard that the next few days would be quite remote. 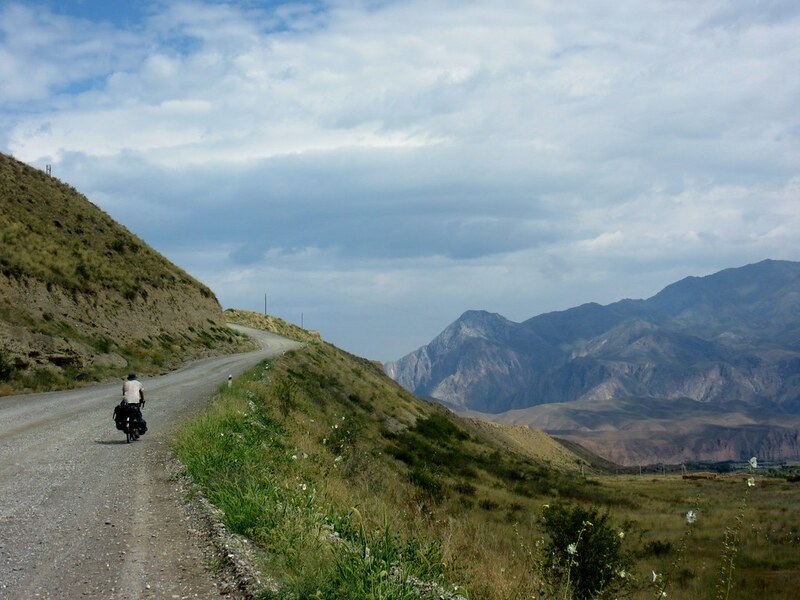 We were heading towards Osh, on yet more dirt roads and over another 3,000m pass.